There is nothing as bad as dead or dying grass, bald spots and dirt patches in your front yard. Unfortunately, homeowners in the Phoenix and Tuscon area tend to have a hard time keeping up with their lawn due to the hot and dry weather. Once these homeowners lose their lawns, they tend to not want to reseed them from scratch. When you lay sod, you basically don't have to do much with it. You water it a few times, then it turns into luscious green grass. Sod is perfect for homeowners who don't have the time or patience to deal with the upkeep of a traditional lawn. If you are worried about the eyesore that your yard has become, you can plant sod and almost instantly fix your problem. 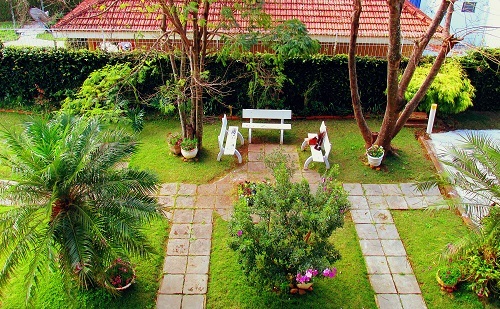 When you plant and seed a traditional yard, you cannot control the rate at which it grows. Oftentimes, new lawns have patchy areas that need to be filled in. This process can take a while because you cannot accurately predict how the grass will grow. When you plant a lawn from scratch, you may have areas that just will not grow. When you sod your lawn, you do not have to worry about unpredictable growth patterns. Your sodded lawn will grow evenly from the start. Sod is a great way to instantly get a thick and green lawn without having to worry about the fact that it may not grow out correctly. Everyone knows that water needs to be conserved in a dry environment. Arizona grass needs to be watered a lot because there is not much rain and there is a lot of heat. Homeowners with seeded lawns spend a lot of money watering their lawns so they do not turn brown and die. When you use sod, you still have to water your lawn, but you do not have to water it nearly as much as traditional grass. Sod does not dry out like traditional seeded lawns do. You can water it less and have a better looking lawn. When you use sod, you do not have to wait weeks before you can step on your lawn. Sod installations are quick and are instantly ready for light use. When you seed a new lawn, walking on it ruins it. It is much more convenient to plant a sodded lawn; you never have to worry about someone walking on it by accident and ruining it. When planting your Arizona lawn, it is important to consider using sod. Sod saves homeowners a lot of time and money while giving them an instant luscious lawn. If you care about appearances and costs, then a sod lawn is a perfect option for your home. For more information on Arizona sod, visit our website .